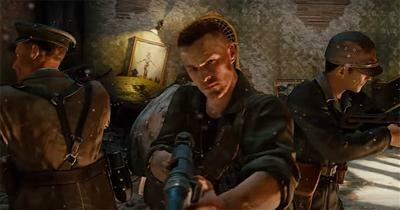 At this years Comic Con in San Diego, Treyarch will reveal the first glimpse of the Black Ops 3 zombies mode via a Live Panel and an official reveal trailer. Surprisingly, details on the new mode have been kept secret up until now - with no leaked information or gameplay online. Even Jimmy Zielinski has kept the new mode close to his chest with even more random tweets than usual. Fans know only too well that it's been a long three years without the world's favourite zombie mode and we all trust in Treyarch to deliver something special in 2015. 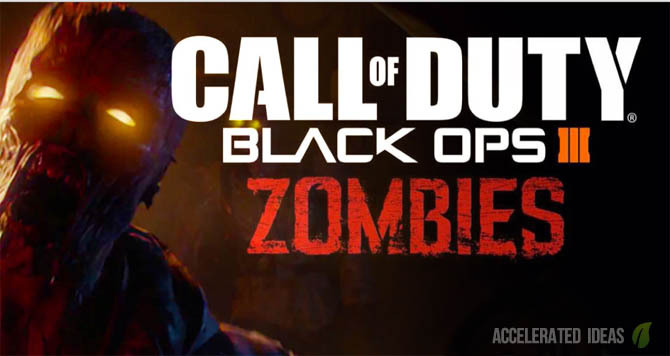 This year you can expect to see a whole new zombies mode, much bigger and with greater depth than ever before. The fact that Treyarch themselves are calling it a whole new storyline tells you that this could be the zombies campaign we've been waiting for. Details on the Live Stream should be available very soon, at which point I'll include a Twitch embed or direct link for you to latch onto. Either way, you can catch the Live Panel direct from Comic Con starting 1pm PST - equivalent to 9pm UK time. Syndicate is this years special guest and he'll be taking part in the World Reveal Panel along with other zombie creators from Treyarch. The panel is due to run for only an hour (1-2pm), but that's more than enough time to completely unleash new zombies gameplay which we know includes a whole new storyline, XP progression system, safe house and a tonne of new inventions that only Treyarch could dream up! The trailer itself is only going to be 5 mins at most, leaving us with 55 mins of jam packed secrets and inside information. Let's just hope the special guest announcements last for only a few minutes - giving us more time for solid information on the game itself. Black Ops 3 will launch in November (as usual) and we can expect to see 4 DLC packs spread out over the following 12 months. PS4 owners have the luxury of early DLC releases this time around and with Treyarch at the helm these should be some of the most worthy DLC you'll buy in 2016. Expect to see new DLC maps for the zombies mode, new wonder weapons, traps...everything we've come to expect in the past. So if you're lucky enough to be at Comic Con then head to Convention Center Room 6BCF at 1pm PST, for everyone else stay tuned and I'll have the Live Stream link up the moment it becomes available. I'll also be covering every inch of the Black Ops 3 zombies mode so keep an eye on the site for more content coming soon.